One of the highest ski resorts in the world , snow sure and a long season , this resort is a firm favourite with season workers who quite often end up doing several seasons here ! Although it’s not picture perfect with large 70’s apartment buildings perched on the mountainside , and not a tree to be seen ( well there are one or two) , but on a powder day and blue skies its so stunning it hurts your eyes ! 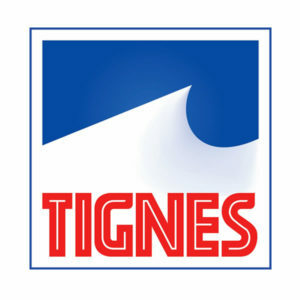 Tignes is split into 5 areas : Val Claret , Le Lac , Le Lavachet, Les Boisses (or Tignes 1800) and Les Brevieres below the dam. Most seasonaires live in Le Lavachet but the free buses run 24 hours and you can come out of a bar in one part of town and home 20 mins later! There is a wealth of opportunities here , every big ski company along with smaller chalet companies , you sometimes wonder if you are in France when you hear the amount of English staff ! Bar & restaurant jobs are plentiful here too. The area is vast , with great off piste areas such as “the Spot” and hard-core couloirs called the fingers that drop you back into Le Lac; on powder days the “bus stop” is a classic open fields run dropping off the avalanche barriers to catch the bus back .For those who live in Le lavachet the best run can be the one home , dropping into the Lavachet wall …straight into a bar for après ski and a live band !